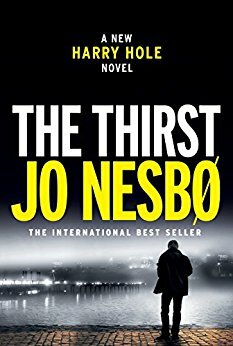 With The Thirst, Scandanavian crime writer Jo Nesbø delivers a dark, disturbing and impossible addictive installment in his famed Harry Hole series. This time, the story is not only deeply unnerving, but wholly relatable with the victims targeted through Tinder. A woman is violently murdered after a Tinder date—largely drained of blood, marks on her neck with slight traces of rust. Two days later, a second victim, also a Tinder user, left dead after a similar attack. Without much forensic evidence, Police Chief Mikael Bellman calls up the now-retired, now-married and currently sober Harry Hole. Harry’s tried to leave his demons behind, quenched his own thirst for the hunt to live his days unencumbered with his long-time love, Rakel, and son, Oleg. At least that’s what he’s tried to do while teaching at the Police College. But in typical Bellman fashion, he blackmails Harry to come back to Crime Squad… just one more time. As soon as Harry is back in the thick of it, he recognizes echoes from his past—the killer is someone he knows well. Someone who’s haunted his dreams for years. Worse yet, there’s no signs of slowing down as the killer’s taste for blood intensifies. The case grows darker and more tangled as the narrative continues, however. With twist upon twist to make you feel as if you’ve fallen down a rabbit hole of unending surprises. Nesbø’s plotting is brilliant as ever, but it’s his depiction of the heartbreakingly flawed, forever conflicted Harry that shines. For a man who’s chased after, endured and been haunted by such unspeakable evil, he continues to be the only one with the prowess to stop it, be it at the sacrifice of what he so strongly longs for—peace.